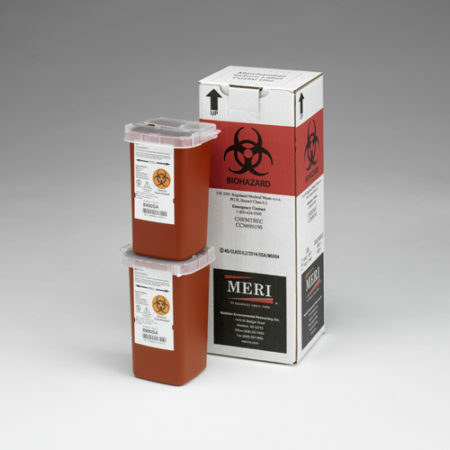 MERI’s Biohazard Blood Spill Clean Up & Disposal Kit disinfects, documents and disposes blood, vomit, urine or feces. This all-in-one, pre-paid postage mail kit is great to have on hand for an emergency clean up and compliant disposal of an infectious spill in a school, bus, lab, retail or industrial setting. It also can be used to remove biohazard waste, including sharps or broken glass. This kit is certified by both the Department of Transportation (DOT) and the United States Postal Service (USPS). 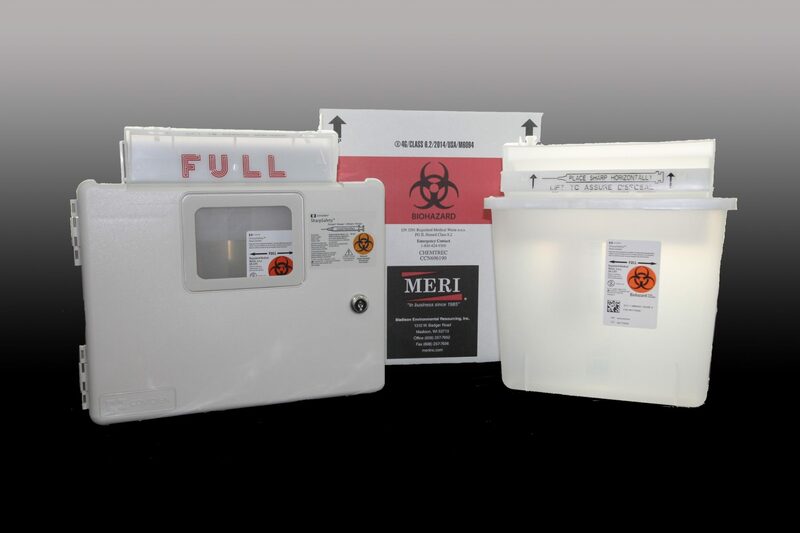 Each mailback kit holds up to eight pounds of absorbed infectious waste and sharps. Best of all, it comes with a manifest to help meet OSHA regulations to document an accident involving blood borne pathogens. 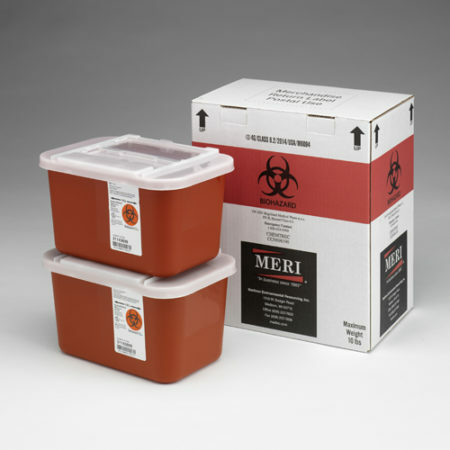 MERI’s Biohazard Blood Spill Clean Up & Disposal Kit disinfects, documents and disposes potentially contaminated infectious waste. It’s your total solution when cleaning and compliantly disposing bodily fluids like blood, vomit, urine or feces. This all-in-one, pre-paid postage mail kit is great to have on hand for an emergency clean up in a school, bus, lab, retail or industrial setting. 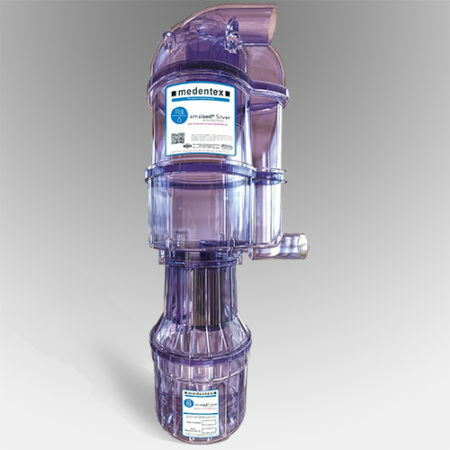 It can be used to clean up and compliantly dispose potentially contaminated infectious waste, including sharps or broken glass. And, it comes with a manifest noting the proper U.S. Postal System transportation of your waste. In addition, a sustainable, electronic manifest records the correct destruction of your biohazard waste at our licensed treatment facility. This kit is certified by both the Department of Transportation (DOT) and the United States Postal Service (USPS). Each mailback kit holds up to eight pounds of absorbed waste. Best of all, it comes with a manifest to help meet OSHA regulations to document an accident involving blood borne pathogens. 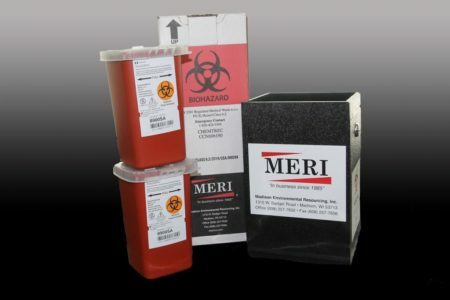 MERI’s Biohazard Blood Spill Clean Up & Disposal Kit ships in one to two business days after ordering. Before sending back your biohazard container, be sure to sign the manifests located on the side of the shipping box. Also, keep the back yellow copy for your records. Finally, please note that return shipping must be done through the United States Postal Service. Don’t forget to order another MERI mailback kit before returning yours. That way you can always have a safe place to store your biohazard materials. Watch this video or view these packing instructions to see how easy it is to package MERI’s mailback systems back through the United States Postal Service.